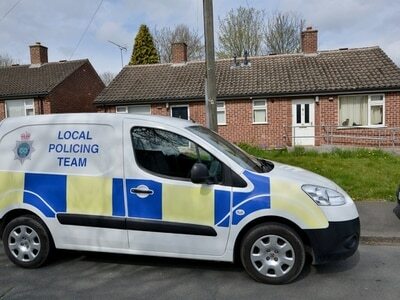 Officers filmed themselves laughing and jokingly pointing their batons at the bird as it chased them down the road. 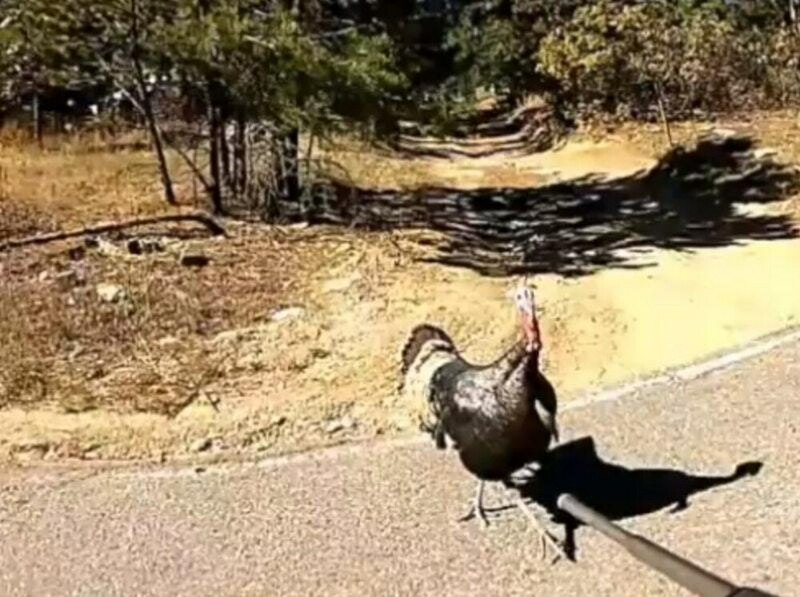 Police officers at Jefferson County Sheriff’s Office in Colorado made an unlikely friend as they were chased by a wild turkey while on duty. Two officers were finishing a call on the aptly named North Turkey Creek Road when they spotted a large bird nearby, which then began to follow them to their car. Apparently to make friends with JCSO deputies! Two deputies were recently finishing up a call just off of ………. North Turkey Creek Road when they spotted a large turkey nearby.Deputy Fisher called to the turkey as they walked back to their vehicles, but, unfortunately for her, she sounded a little too much like the real thing.Tom was immediately smitten and despite the deputies’ attempts to shoo him away, he would not be deterred.Singing the song of his fellow fowl brethren, the nearly 25-pound turkey aggressively followed the deputies down the driveway, across the street and all the way to their patrol cars!We don’t want to ruffle any feathers, but we think this is a good time to remind folks that wild turkeys are not to be mistaken for domesticated animals. They have sharp beaks and claws that can inflict serious damage.Thankfully, our deputies were not injured as they repeatedly told the bird they already belonged to the JCSO flock. Have a great day, JeffCo. We’ll be here if you need us. The hilarious video of the officers running away from the feisty bird has more than 17,000 views. The sheriff’s office said: “We don’t want to ruffle any feathers, but we think this is a good time to remind folks that wild turkeys are not to be mistaken for domesticated animals. They have sharp beaks and claws that can inflict serious damage.